August 1979: Irvin Kershner is directing The Empire Strikes Back, aka Star Wars Episode V, on Stage 9 of Elstree Studios, England. 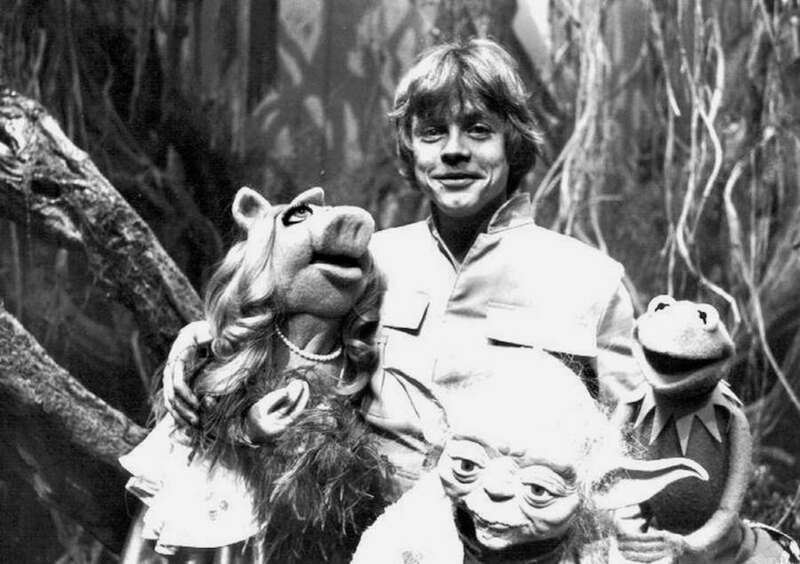 Today’s scenes involve Luke Skywalker (Mark Hamill) meeting with Jedi Master Yoda. 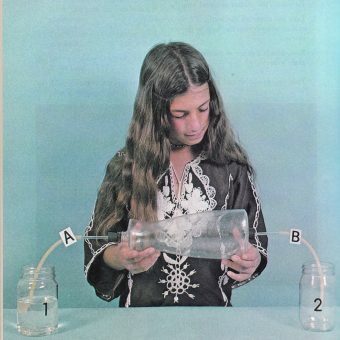 Kershner considers this sequence as “the heart of the picture,” as he explained to Alan Arnold in A Journal of the Making of The Empire Strikes Back. 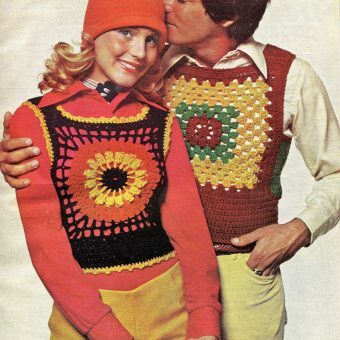 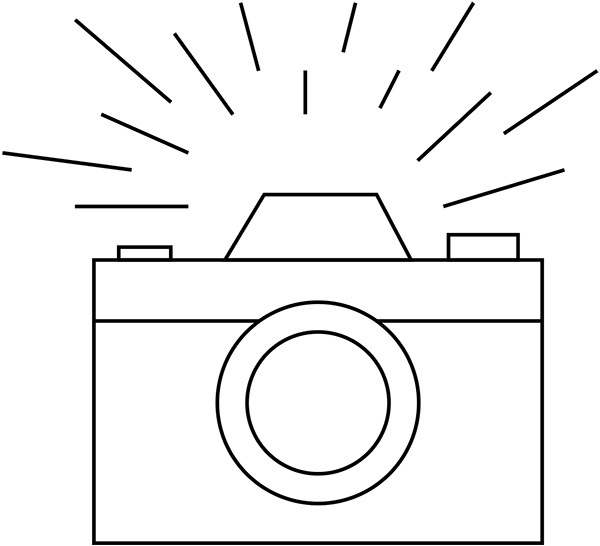 “Well, it expresses the philosophical content of the picture,” [Kershner] explained. 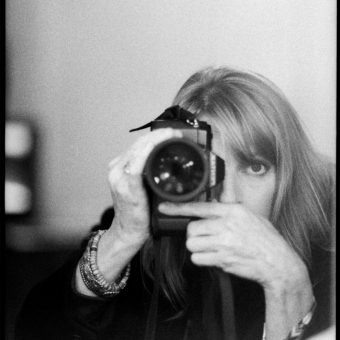 “The sequence is an important exposition at the center of what is happening, in this fable. 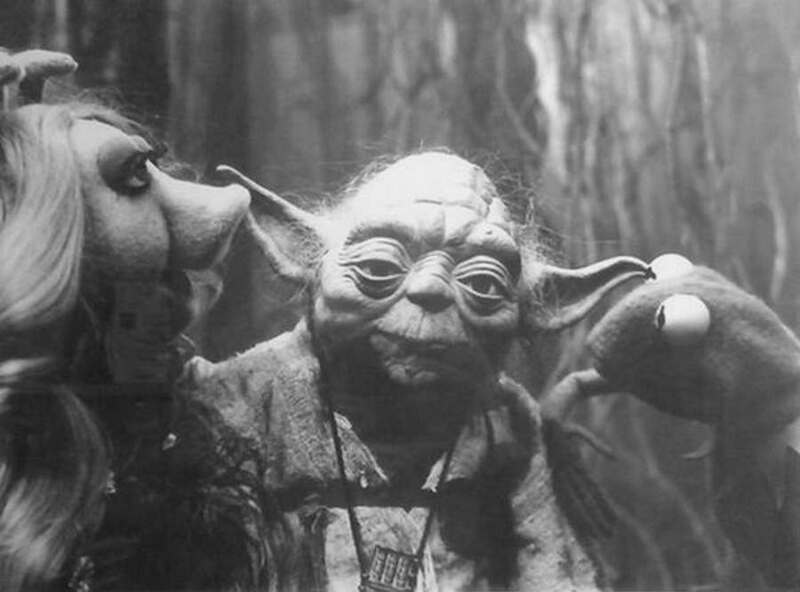 Frank Oz who voiced Yoda, was also known as a puppeteer and actor who was responsible for the voices of Miss Piggy, Fozzie Bear, Sam and Animal in Jim Henson’s The Muppet Show. 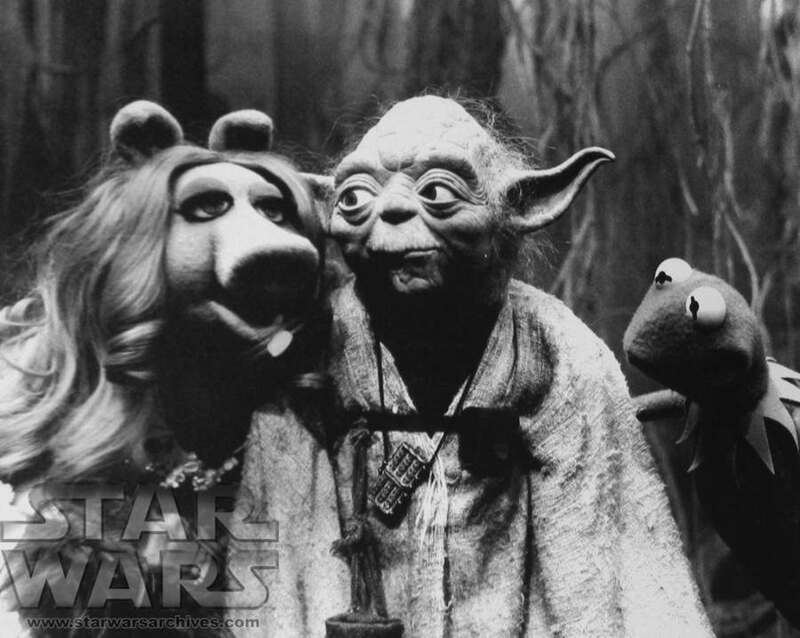 At the time of filming Stars Wars V, The Muppet Show was being made for television at ATV’s Elstree Studios. 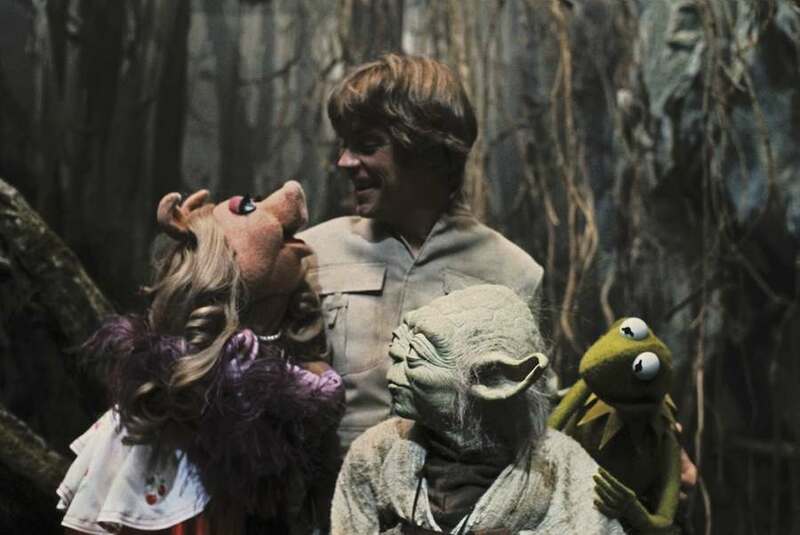 One day, during a break in filming Oz and Henson, brought Kermit and Miss Piggy on set to meet Kershner, Skywalker and Yoda. 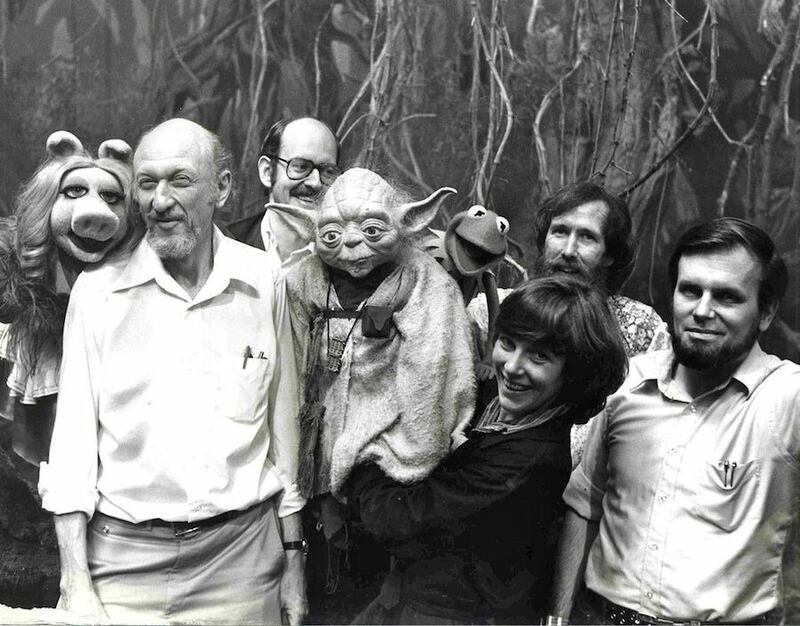 Miss Piggy with Irvin Kershner, Frank Oz in background, and Jim Henson with Kermit. 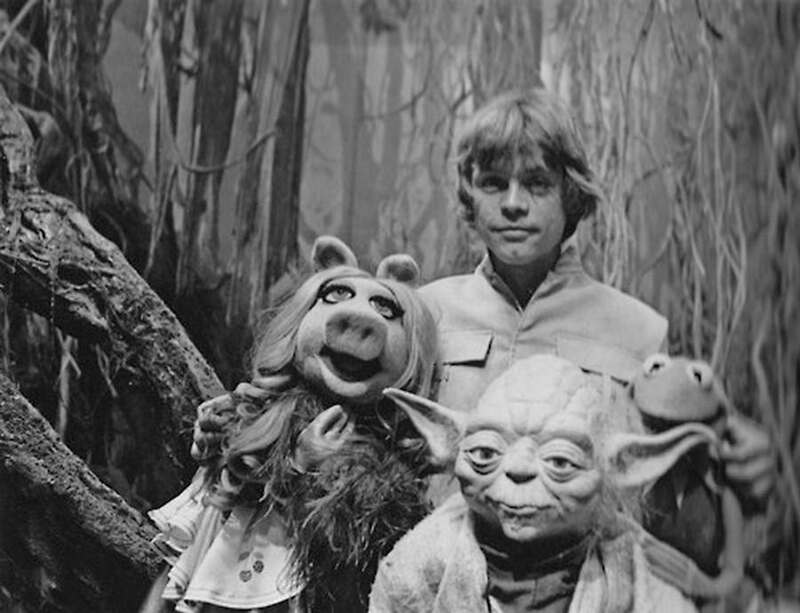 Miss Piggy, Luke Skywalker, Yoda and Kermit.